EVERYONE'S NEW FAVORITE SNACK BAR- Our Soft, Creamy & Crispy Texture will be your new snack obsession! Even Kids Love Them! Perfect Snack on the Go. 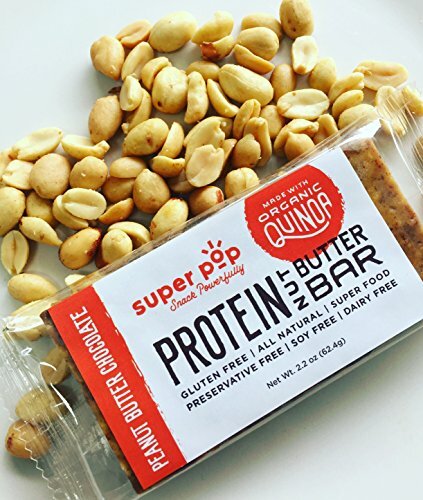 A DELICIOUS BAR-Made with Almond Butter, Organic Popped Quinoa & Plant Based Protein. Nutrient dense, we use only Non-GMO all-natural ingredients. SMALL BATCH- Our bars are made in small batches to ensure high quality and freshness. Only the best for our customers. If you have any questions about this product by Super Pop Snacks, contact us by completing and submitting the form below. If you are looking for a specif part number, please include it with your message.